At Lighting One member showrooms, we know everyone likes to have their own personal space where they can relax, unwind, and simply “be” for a little while. 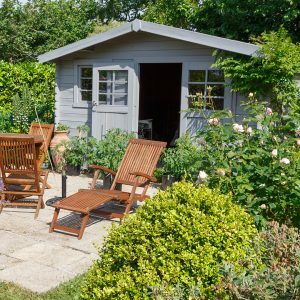 When it comes to creating a personal space on your property, there is perhaps none more popular than a she shed. Your local Lighting One affiliated showroom can help you find modern lighting options for your she shed. With the right fixtures, you can turn a standard shed into the perfect space for relaxing, entertaining, or just getting away from it all. If you designed and decorated the interior of your home, then you probably feel comfortable with designing and setting up your she shed. You’ve chosen the furniture, the wallpaper or paint color, and the accents that will live on the various shelves and tables. However, have you thought about the lighting? Choosing the right fixtures will make a huge difference in how the space feels and functions. Brands such as Quoizel have amazing options that can help you come up with the perfect plan. It’s important to layer the lighting in any room in your home, and it’s no different when it comes to your she shed. Think about what you will use for ambient, or general, lighting. Do you want a chandelier that illuminates the entire room? Since you might be limited on ceiling space, a mini chandelier could be the perfect option. You’ll likely be using your she shed to get away from the world, so your plan might be to read your favorite books in a comfy chair. This means that you’ll need the right table or floor lamps so that your eyes don’t get tired after reading for a while. The right task and accent lighting will make the space feel complete, and it will make it more inviting when you have close friends over to share in the comfort of your she shed. When it comes to other fixtures besides chandeliers and table or floor lamps, the options are nearly endless. If you’re going to have a desk in your she shed, then make sure you have the right lamp for it. If you want more lighting along the walls to provide another layer of illumination, then think about adding sconces. The shed’s wiring may play a part in what type of and how much lighting you can have, and your local lighting showroom expert will be able to help you lay out and plan everything. 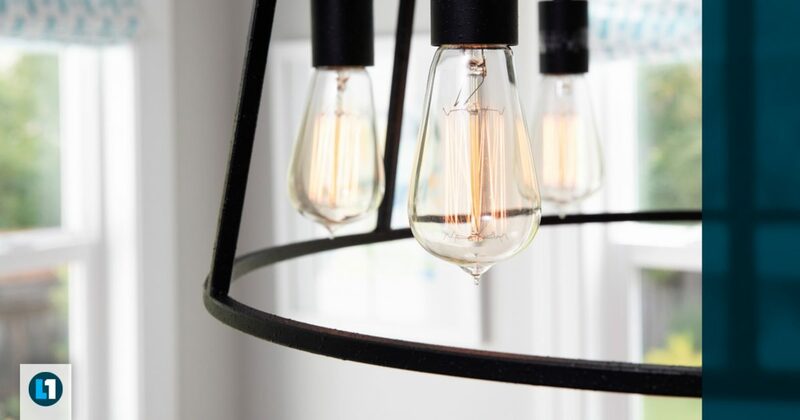 You may have a lighting style in your home that you absolutely love, such as Vintage, Rustic, or Art Deco. When it comes to your she shed, it can be good to branch out into a style you haven’t used before. Perhaps you’ll install a crystal chandelier and sconces to make the space feel elegant and luxurious. You could go with Transitional fixtures that offer a classic look with a bit of contemporary flair. Keep in mind that this space is yours, and that you don’t have to be confined to a lighting style that matches the rooms in your house. When looking at brands such as Quoizel, you’ll have your pick from a number of different styles. When it comes to she sheds, they’ve grown in popularity mostly because they give women (and men!) the ability to create the space that they want. While the man cave has been around for many years, the she shed movement is just getting started. When it comes to lighting your she shed, the choices are up to you. By visiting a Lighting One affiliated showroom, you can find amazing fixtures that will bring your she shed design to life and provide you with a space that you’ll enjoy for years to come.